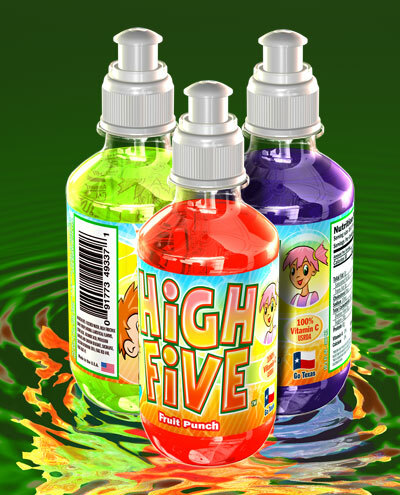 High Five drink for kids is an amazing and fun flavored drink that kids will love. Available at your local convenience store, ask for it by name. 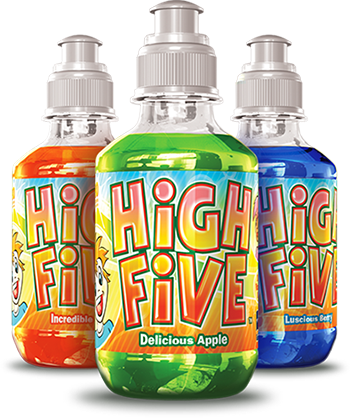 It comes in five flavors that your kids will enjoy. Try one Today!. Our plastic sports cap is easy to use while preventing spills and maintaining freshness. Our unbreakable plastic bottle is safe for kids and is recyclable helping save the environment. The flavours are caffeine free with low sodium. 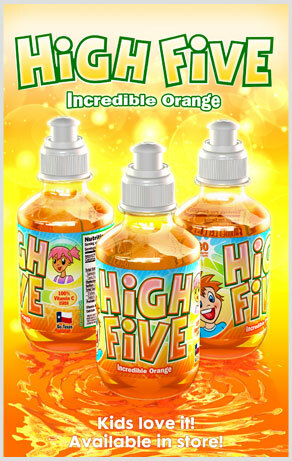 Competitive pricing has been instrumental to the success of High Five positioning this premium quality brand as being affordable tochildren. My Kids Love It and So Will Yours! My kids love this drink, I decided to try these drinks out on a recent road trip so I picked up several flavors on our way out of town so we could have some drinks available. I cant say enough how much my kids loved the drinks. I like the fact that there are quality drinks on the market for kids to enjoy. I Really Enjoyed This Drink, It Tastes Great! I picked up a few of these the other day for my kids. We loved the flavors and they were a bit hit with my kids. I even tried one myself. We generally stay away from sugary drinks but these are healthy and I highly recommend them if you are looking for a healthy drink that your kids are gonna love. Please contact one of our sales team to find out about distribution options and best wholesale pricing. We ship bulk to your location.. Call to find out current pricing!